Newcomer Family Obituaries - Miriah Dawn Rogers 1984 - 2019 - Newcomer Cremations, Funerals & Receptions. 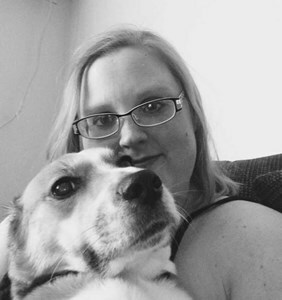 On Wednesday, February 6, 2019, Miriah Dawn Rogers passed away at the age of 34. Miriah was born October 9, 1984 in Garden City, Michigan to Dianne Biga. She graduated from Whitmer High School in 2002, where she was very active in Choir. Miriah worked for many years as an STNA for several nursing homes and for Hospice of Northwest Ohio. She pursued a nursing degree at PSI, but was unable to complete her degree due to medical complications. Miriah was a very strong, independent, and caring person who loved to spend time with her friends, family, and animals. She had game nights, overnight getaways, and spent much of her time with the same group of girls for over 20 years. Throughout the years she added more great friends to her inner circle and was surrounded by their love and support. Miriah enjoyed travelling, Karaoke, and watching her best friends perform in the theater. She also spent many hours at the Humane Society. She would spend a day playing with the dogs and cuddling the older hard-to-adopt cats. Miriah loved animals so much that she was a foster mom for kittens, and she had three pets of her own- Socks, Mickey, and Jade. Miriah was preceded in death by her mother, Dianne Biga, and three grandparents, Glen and Mary Mangham, and Pat Herbert. She is survived by her sister Angie (Jerry) Moore, her niece Ally, and nephew Colin. She was an amazing and fun aunt, as well as a loving sister. She spent a lot of time with her family going on picnics, to the Cider Mill, and celebrating many holiday traditions. An open-house celebration of Miriah’s life will be held on Sunday, February 10, 2019 at Shorty’s Back 40- 5215 Monroe St. Toledo, Ohio 43623 from 2:00-5:00 pm. Please come and share your memories of Miriah with her family and friends. Add your memories to the guest book of Miriah Rogers. I worked with Miriah at Vito's call center, even when Miriah did not feel well she was still a joy to be around and would always try to cheer others up. She will be greatly missed. Riah was one of the first people who made me feel welcome in Toledo. She is a genuine friend (can’t seem to use the past tense) I will miss our playful debates about why the Backstreet Boys are not better than *NSYNC !! !I remember our last conversation and I’m glad it ended with I love you friend.